All my pixel art work! This asset and many more are included at the $10 tier on my Patreon! Already a patron? Click here to download! Welcome to Station X! 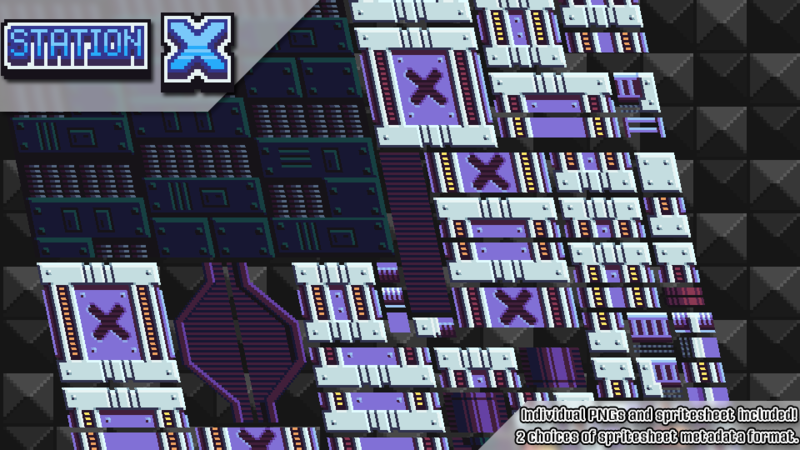 This tileset was originally exclusive to my patrons on Patreon, but has now been remastered and re-released here on itch.io! 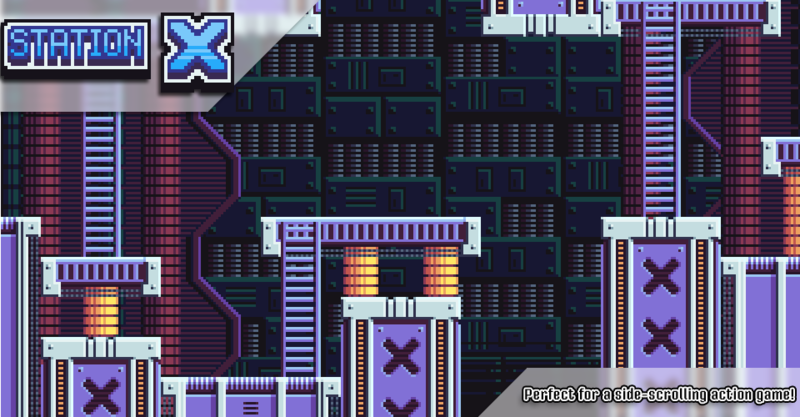 This Mega Man-inspired tileset would be a perfect fit in any sci-fi platformer, metroidvania, or roguelike. Modular terrain pieces give you the freedom to create many different level layouts. Ladders add an extra dimension for level design and gameplay. Flashing light animations, while optional, can be used to give your game a classic, retro flair. 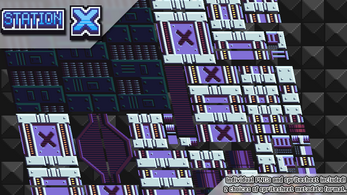 Double-layered backgrounds will give your levels depth with a midground layer as well as a parallax background layer. Check out the screenshots on the side for some previews!